For the 2014 model year, the Ram 2500 is available in three cab styles: Regular cab, Crew cab, and Mega Cab. Additionally, the Ram 2500 gets a five-link coil rear suspension as well as a rear air suspension system. A 6.4-liter Hemi V-8 engine is available and includes supplemental air bags that allow the leaf springs to be softer for improved ride quality. 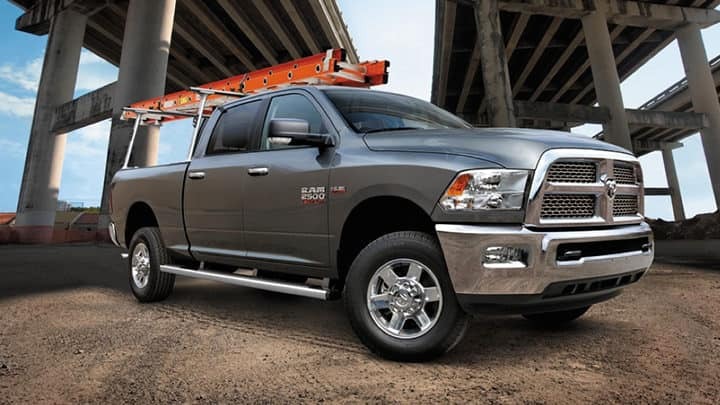 Heavy-duty pickup trucks like the 2014 Ram 2500 are made primarily for buyers who do plenty of towing and hauling. The standard 5.7-liter Hemi V-8 engine powers the 2500 that produces 383 horsepower and 400 lb.-ft of torque. 6.4-liter Hemi V-8 with 410 horsepower and 429 lb.-ft of torque available. The Ram 2500 features a Six-speed automatic transmission for gas engines and Rear/four-wheel drive. The 6.7L Cummins Turbo Diesel also delivers Best-in-Class for max towing. The 2500 also features the coil-spring rear suspension that is standard on every 2014 Ram 2500. The switch from rear leaf springs to coil springs gives the heavy-duty Ram a more civilized feel whether you are pulling a heavy load or driving around with the bed empty. 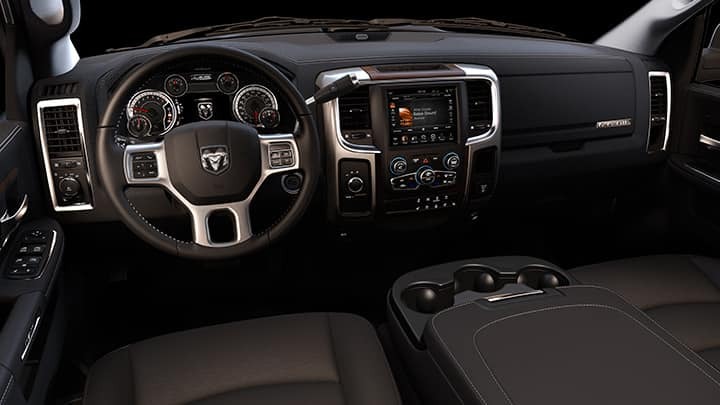 Ram's 2500 model comes with 17-inch steel wheels, black grille/bumpers, power heated mirrors, a 40/20/40-split front bench seat, air-conditioning, cruise control, a tilt steering wheel and a six-speaker stereo with USB/iPod integration and an auxiliary audio input. Vinyl upholstery and flooring are standard, but a cloth bench seat is a no-cost option. Power windows and door locks are standard on Crew Cab models, while regular cabs have manual controls. The Ram 2500's standard safety equipment includes front seat and side curtain airbags, antilock disc brakes, traction control, stability, and a tire-pressure monitoring system. A rearview camera is also optional. Power-adjustable pedals are available on all models, except the Tradesman. All three of the Ram's engines provide solid performance, but if you are regularly towing and hauling heavy loads, the Cummins Turbo Diesel as well as the automatic transmission packs the biggest punch. For more information on this vehicle us a call!